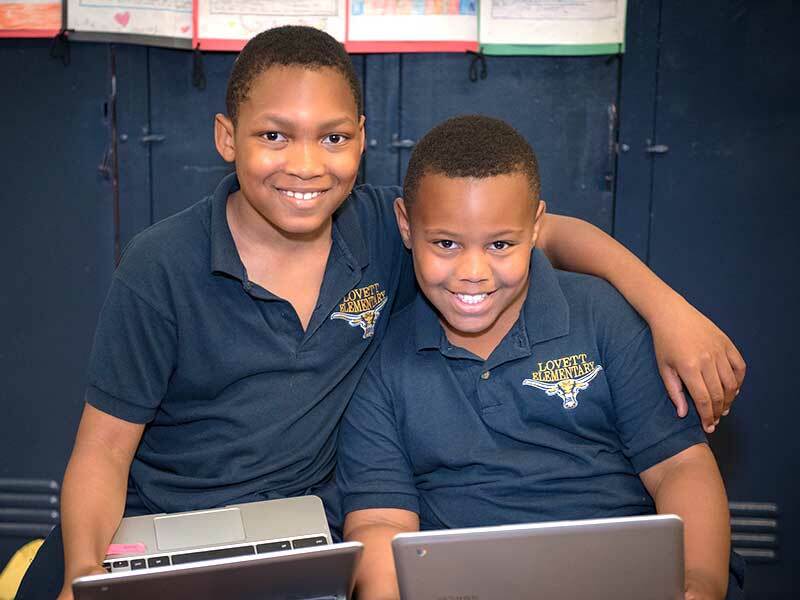 Students at Lovett are required to demonstrate mastery of both knowledge and application of a skill. While the knowledge component is rather straightforward (80% on an assessment), students can choose to demonstrate mastery through practical application of a skill, often via a project or presentation. A student, for example, may create a brochure on a foreign country to demonstrate their understanding of informational text. Other methods of mastery demonstration include completion of worksheets or online work, and successful small group discussions.